Rihanna Is Old News, Serena Williams Is About To Become The New Beauty Mogul! Women can literally have it all! 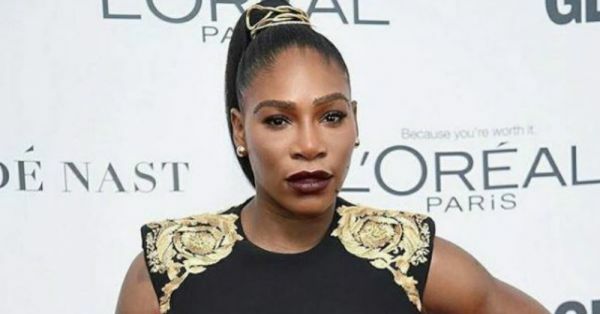 Amidst getting married, giving birth and setting records, tennis superstar Serena Williams is planning to take over the beauty world. After Rihanna, Kylie and Kim, it doesn’t come as a surprise that another female celebrity is looking forward to ruling the beauty industry. World No. 1 tennis player is all set to launch her very own beauty line. According to trademark documents that were filed on January 30 under “Aneres”, a swanking new line of make-up, hair and body products can be expected soon. Interestingly enough, Aneres is actually Serena spelt backwards. Williams’ beauty line will be launching the entire cosmetic line with 18 beauty categories including lipstick, lip gloss, foundation, eyeshadow, eyeliner, mascara, make-up remover. The brand will also carry skincare products like body lotions and hair essentials like dry shampoo and sprays. The same name Aneres was trademarked by Williams earlier, for her clothing line but now the brand will be launching a wider range of products, according to reports. Well, when it’s an influential name like Serena, it’s either go big or go home kind of situation! If we take inspiration from her own make-up and style, I believe, we can expect the formidable player to launch some sweat-proof, waterproof and long-lasting make-up products. She’s graced her way to those tournament medals with a fine eyeliner and sporty-chic hairstyle. Reportedly, Aneres might also present us with make-up brushes, sponges, hair accessories and cosmetic bags. We still are not sure what range of foundation shades can we expect from Aneres but when it’s the Wimbledon champion, we hope to see a wide range of shades that suit all skin tones. Although we are still waiting for Rihanna to bring Fenty Beauty to India, can we expect the global sports star to make her collection available globally? Only time will tell!